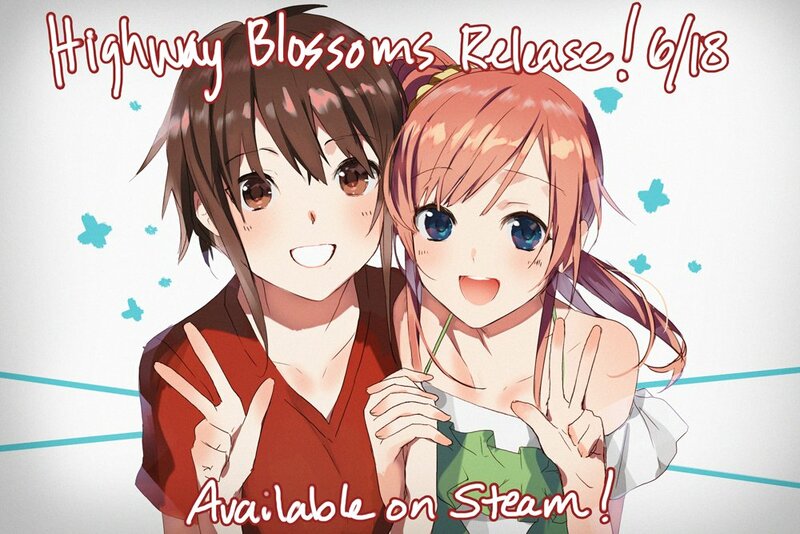 On June 17, 2016 we released our first game, Highway Blossoms. It was the culmination of a year’s worth of hard work, and we’re very proud of what we’ve created. The game can be purchased on Steam for $9.99. In addition, an uncensor patch can be found here on website. You must be 18 years or older to download it, as it adds explicit sexual content into the game. The game will be available uncensored on Denpasoft soon, and this post will be updated to reflect that. It is June 24th were is is on denpasoft? The build is all done, we’re just waiting for it to be uploaded. Hopefully soon! will the Denpasoft version also get a seperate DLC SOundtrack buyable package too? will the sexual content be toggable on/off? also are you guys ever gonna release other goods for the game like a casette version of the soundtrack or something, or the keyholders you guys never were able to release as a deluxe package in the end? sorry for all the questions, just really excited!! Hi there! Thanks for the kind words! 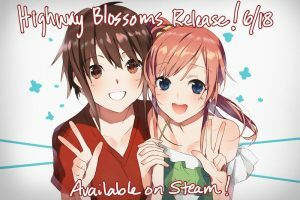 The Denpa version has been delayed, but if you’d like to avoid Steam, you can get the game on itch.io https://alienworks.itch.io/highway-blossoms This is the all ages version by default, but you can install the adult patch just like with the Steam version. but I’m not sure if that refers to the original game itself? Yes, it’s the actual game soundtrack. The DLC on Steam is just for people who want to have their own copy of the soundtrack to play on iTunes or whatever. At the moment, we don’t have that available anywhere else.